South Korea's ETNews reports that Samsung will discontinue its Galaxy Alpha smartphone by early February 2015, "as soon as its inventory of materials is exhausted". The company will reportedly succeed it with the new Galaxy A series of smartphones, which continue the Alpha's peculiar design line, but settle for spec sheets that Samsung finds more favorable for competing in the increasingly price-aggressive smartphone market. Essentially, the Galaxy A phones are the nice-looking, reasonably powerful, and affordable mid-rangers that have been missing from the company's product lineup. So far, Samsung's non-flagship mobile offerings have had a lot of corners cut in their spec sheets and build quality. In 2014, they found themselves unable to compete with stronger, cheaper products from Chinese competitors, which forced Samsung into rethinking its approach. If the rumors about it are true, then the Galaxy Alpha was merely a stepping stone towards reinventing its non-flagship smartphones. Analysts and insiders commend Samsung's decision. The first Galaxy A phone that will reach the South Korea market, the Galaxy A5, "has better price competitiveness based on specifications than its predecessors, and its design is thought to be better than that of the Galaxy Alpha" according to a person from the industry. At $361 (KRW 400,000) the A5 will be positioned as "a premium model in the mid to low-priced product line", which Chang Jung-hyeok, VP of Atlas Research, finds "meaningful". 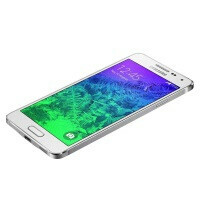 The Galaxy A5 has an attractive metal unibody design, a 5-inch 720p display, a quad-core Snapdragon 410 processor, 2GB of RAM, a 13MP main camera, a 5MP front cam, and a 2300mAh battery. The Galaxy A3, which is the low-end offering in the series, features the same premium styling, but the display size, RAM memory, camera sensor, and battery capacity have been lowered to reduce the price. Meanwhile, the Galaxy A7, which is supposed to crown the A-series, has been largely unheard of as Samsung is yet to begin selling it, or even announce it. Currently, the Galaxy A5 is on sale in China and Russia. If you'd like to see how the Galaxy A5, A3, and Galaxy Alpha compare to each other and other metallic smartphones, read our special size and design comparison. awe !!! Thats a great news ! I cannot wait to read the news : SO LONG, SAMSUNG !! BANKRUPTED ! If other companies havnt gone under they won't. They're also during very well in the TV market. Samsung mobile profits is still one of the highest in Android platform. Just that people now are taking notice on cheaper China brands phone, even so Lenovo and XiaoMi mobile phone profits is no where near 20 overs billons. Beauty of Android: Vendors HAVE TO resort to non related revenues to compensate the deficit occured through Android. Do you act stupid only on Mondays? or is it same story any day of the week?? You can't turn retarded on or off according to the day of the week. Well,what if I told you that samsung has tons of other subsidiaries that they can rely on,like construction? You would be wrong. DO you even understand what Samsung is? Samsung is a conglomerate. They are a bunch of independent companies that use the same Samsung. Each Samsung company is responsible for making their own money. So for example, Samsung Mobile and Electronics is one company. If they fail, the only way they could get money is if they borrow it. Could they borrow if from another Samsung company? Possibly. Samsung does not bail out any components of it's company. If Samsung Mobile dies, then that is the end of that part of the company. What the fools here fail to see, is Samsung has been making phones longer than any of the companies making them now. Samsung still has the biggest advantage over most of them. They have money, they have age, they have experience and they have all the factories. Even if Samsung Mobile/Electronics struggles, Samsung still makes other stuff like chips, appliances, construction equipment and skyscrapers. In other words, Samsung will be around far longer than any other company of its type. So are ram, hdd, computers, displays, optical and the most advanced cpu factories. Home thing tells me Samsung would be hurt a lot more than apple if the 2 parted ways. Also, Samsung is 100% reliant on android. Apple has its own OS. No reason to call people names and truthfully I'm thankful we have both OS's as if hate to be stuck with one choice. Yup, that would be great news & leave thousands of samsung employees jobless. You're stupid and inconsiderate for wishing a company's downfall. Just because they made bad business decisions it doesn't mean that the whole workforce should suffer. Why did you use to hate Samsung and Android before? Because: you use to hate Android few years ago. PA can you ban Arte 8800 ASAP? Wow you want Samsung to go bankrupt? Why? You hate Samsung for what reason? Because they are better than everyone else? Because Samsung not only designs their own s*** but actually makes it too? Am curious, since we already know that the Mac is less than 20% of Apple's income, what happens when the iPad and iPhone sales take a huge drop? I want you to stop being an ignorant fanboy and ask yourself a very serious question. Smartphones have basically reached their peak in feature capability. The only thing left is size. Numbers have already shown that most people who have large smartphones, don't buy tablets. Numbers are already showing the iPhone 6 Plus is eating into iPad sales. Once this year passes and Apple releases the iPhone 6S/S-Plus and everyone finally gets the big iPhone they claimed they never wanted yet now do, what would be the point in buying them again? What product does Apple have now to keep them a powerful contender? Because the Mac was dead years ago. Windows won back in 1995. The Mac will never have the money or power Windows has. So once the smartphone flame dies, what will Apple have to fall back on? In fact I will make an open forum bet with you. Apple will die and go bankrupt, before Samsung ever does. I don't like or dislike Samsung. They make nice products. I have a phone, I have a TV. They do what I need at the price I was willing to pay. I personally don't believe in paying more for less. Only a moron would do that. Put your money where you month is. I am so sure Apple will die before Samsung does. Why? iPod sales have been slipping. In fact it is smarter to buy an iPhone vs an iPod. Its gotten to a point, Apple doesn't even upgrade the iPod every year. The iPad sales are also dropping and the iPad hasn't changed since day one. Only a fool keeps buying them. The iPhone hasn't changed either. Same one new feature that is old every year. People will get tired of that. What happens after that? The iWatch is going to be a failure, just like all the other watches. What do they have left? Samsung makes more than Phones. So if they stop selling phones guess what, they have 15 other companies that work. What will Apple have? I really liked the Alpha. Tried it the other day in store. Metal band is gorgeous, back is MUCH better than S5's, actually feels quite nice. The screen isn't very good, 1080p and it would've been a worthy contender. No it's also a pentile matrix. This makes it quite pixelated. 720p RGB is fine, but 1080p minimum for pentile. If it would have 64GB variant I'd be sold, perfect size for mobile music player but 32GB would disappear very quickly. Theyll probably recycle the phone and re-release it as a new model. Anyways thanks for the 52 photos of a dead phone. Most probably yes IMO. This is Sammy's best looking handset till dated. Madness - did they make their money back on the marketing, design, development, testing, distribution costs?